Ponte… nas ondas! celebrates 20 years of history with a marathon | Ponte... nas Ondas! News published in La Voz de Galicia. 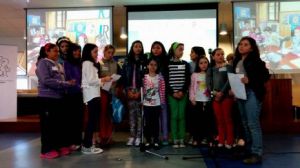 A total of 54 education centres and 14 radio studios from Galicia and Portugal participate today on the 20th anniversary of Ponte… nas ondas!. The multimedia workshop of communication is focused, another year, on the live radio from the different radio stations of Galicia and the North of Portugal. The entire schedule can be followed in live through Internet from the web www.pontenasondas.org till ten o’clock at night. The emission is coordinated by the UVIGO – TV, the channel of the University of Vigo. The marathon started at 10:00 in the class 1 of the Edificio Miralles and the rector of the University of Vigo, Salustiano Mato, will come too. Famous voices of de radio like Carles Francino, Julia Otero, José Miguel López, Xurxo Souto, Ana Romaní and Xosé María Palmeiro join the celebration. The high-school Infante Felipe from Salvaterra, that interpreted in live the traditional Portuguese song “Pera verde”, was one of the protagonists of the morning. Ponte… nas ondas! started its route in 1994, with the aim of serving as a bridge of communication, on the shore of the Miño river, between Galicia and Portugal. Fundamentally through interstellar radio initiatives and through Internet, on both edges of the border as well as on others Latin American countries. Since 2002, the participating student body has grown up with the incorporation of university groups. 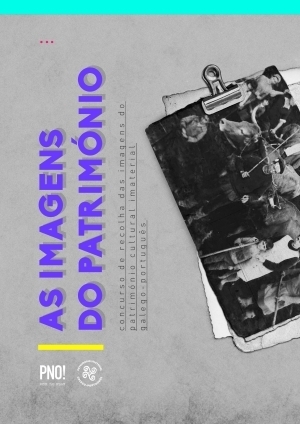 In that way, it was possible to achieve that the experience completes the education variety which goes from the pre-school to the Galician and Portuguese university groups. In the last editions, since 2007 and in collaboration with the channel UVIGO-TV, from the University of Vigo, television emissions were staged via Internet with the production of the participant educativon centres. On the occasion of the twentieth edition of the project, this year the efforts made by the student body and the teachers during the preparations of the programs will be rewarded for the first time. The awards will be putted on through the Boas Ondas prizes. 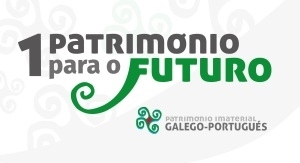 The best radio programs, divided in 6 categories, will be rewarded: recorded, live, in collaboration with a professional radio station, in video, about any impression of Galician-Portuguese Intangible Heritage and, finally, staged out of the Galicia-North Portugal Euroregion.